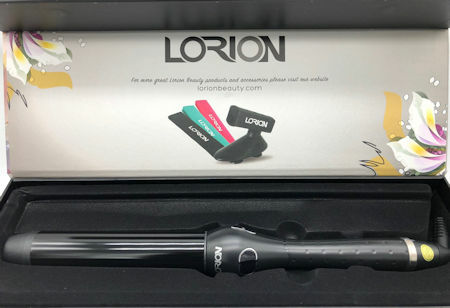 Perfect for creating tight or loose curls and waves, the Lorion Clipless Curling Iron features a clip-free barrel and ceramic heating system that quickly heats up to 450º for effortless styling. Far Infrared technology enables even distribution of heat for a silky, professional finish. Includes heat-resistant glove to keep hands protection.